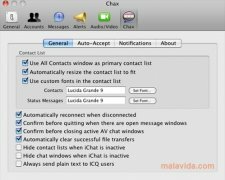 Chax is a perfect complement for iChat, because it adds and modifies very interesting functions to Apple's instant messaging software. 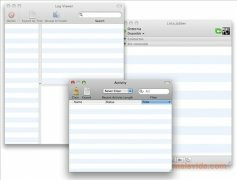 The truth is that iChat is one of the best instant messaging applications, allowing the user to connect to different networks, making the most of iSight and many functions more. 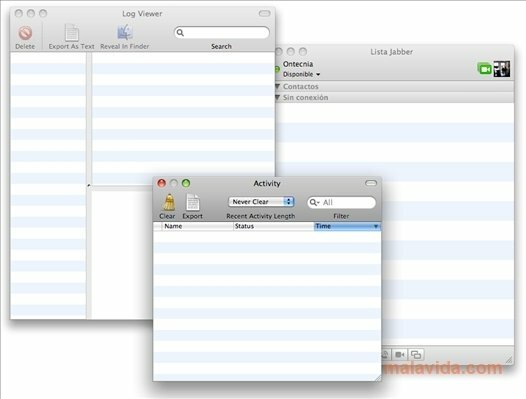 - Unifying all accounts in a single contacts list. - Using Growl for notifications. - Automatically redimensioning the window to adapt to the number of contacts connected. - Automatically accepting transfer, video conference and share screen requests. - Adjusting the fonts of nicks, messages and separators. - Applying the changes directly. - Improving the use of ICQ accounts. 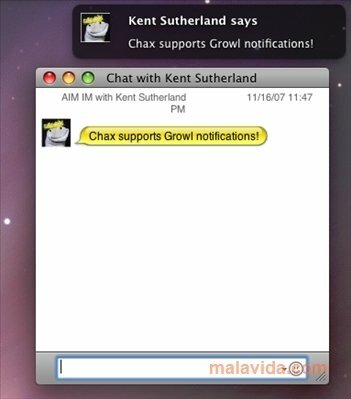 All in all, Chax makes iChat a much more efficient instant messaging system for Mac. 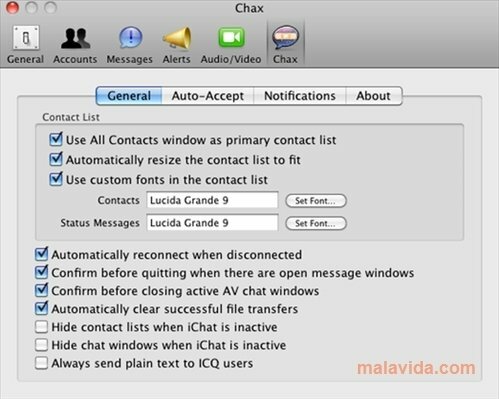 All the latter integrating perfectly with the Apple software and showing all the options so that you can perfectly differentiate between those that belong to Chax and those that are from iChat.